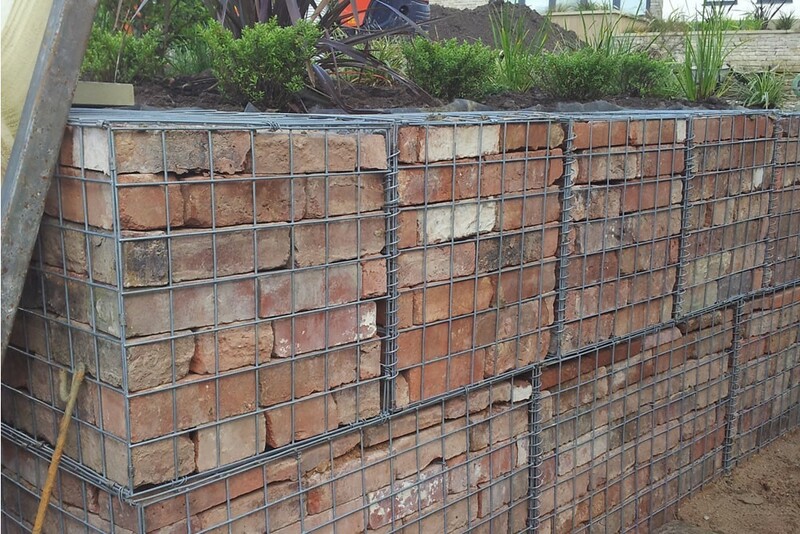 Galvanised gabion baskets, are an excellent solution for building retaining walls. 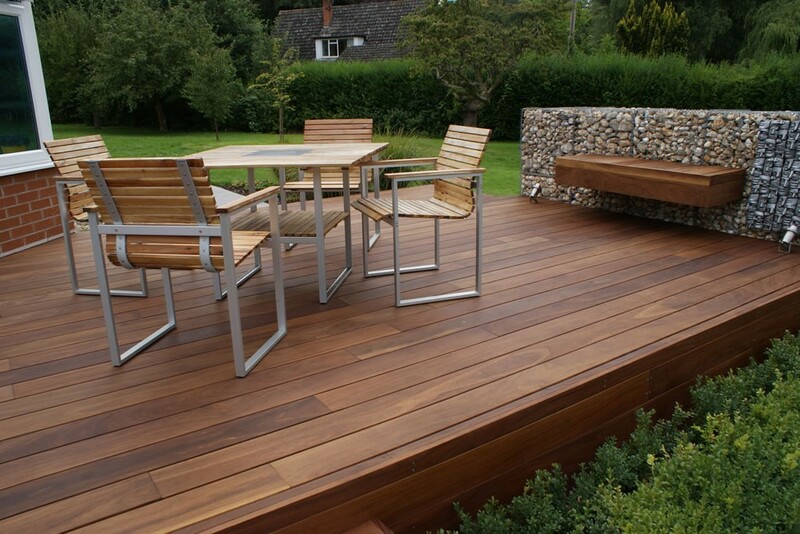 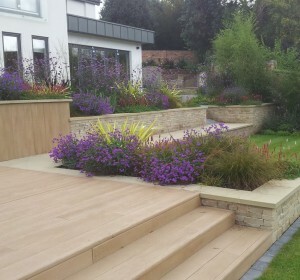 They are a strong, fast to install, and can be given a range of finishes to fit most designs. 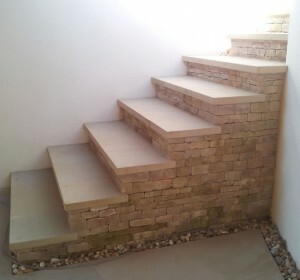 Another advantage is to fill them with rubble, and stone that would otherwise be waste material and only face the front and top of the baskets which can be seen. 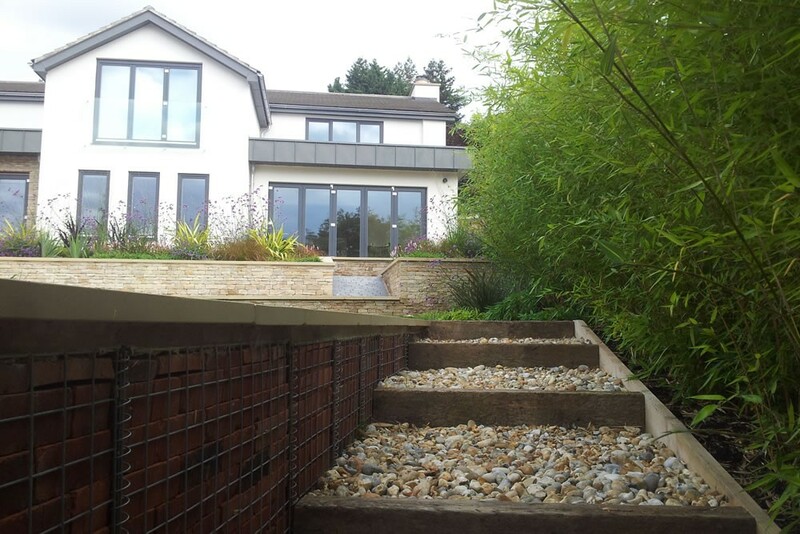 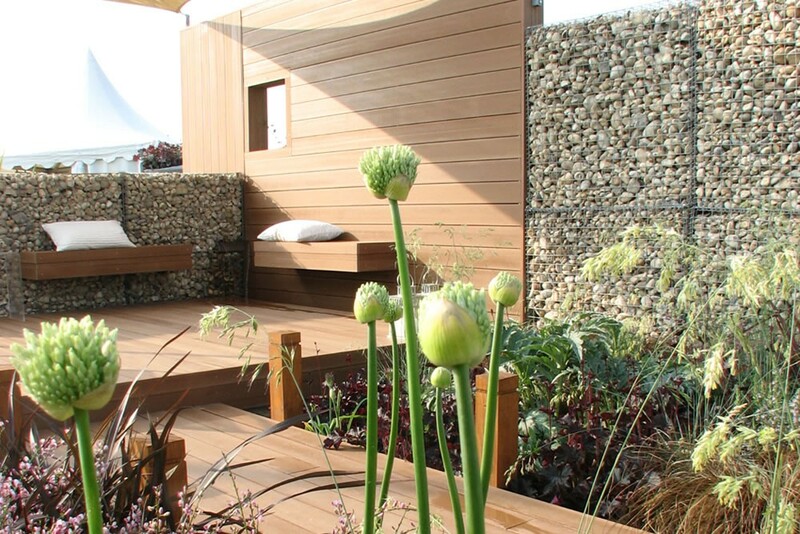 Gabions can also be used as free standing walls, you can also have features such as benches built into them.